These days it seems we're all more obsessed than ever with our skincare routines, and that's no bad thing is it? I get excited about trying new products and love anything beauty! I don't know about you but I'm always busy double cleansing and toning, I'm incorporating acids and retinol into my routine now and throwing all the moisturiser I can at my skin, you ladies doing the same? I need to whisper something in your ear though; I've not been very good at looking after my neck and décolleté area. I've kind of neglected it over the years when it also needed lots of TLC, and I'm now extremely annoyed that I didn't pay it more attention. Can't dwell on the past though, so I'm moving forward with a little helping hand from Temple Spa. Have you heard of them? I'd heard of them before I got this little pink pot and read lots of great reviews. I'd tried a couple of sample products but it was when Tracey from The Naughty Forty Diaries was raving about their Exalt neck cream that my ears really pricked up. I figured it would be rather mean of me to not share it with you too. It's packed with all sorts of magical ingredients to help firm and tighten your skin, helping to improve those horrid neck lines and wrinkles, and, my goodness, this stuff works!! I won't bore you with what's in it, because quite frankly you can read that for yourself here. But what I will say is this........it has the most beautifully light gel texture and smells heavenly. It applies like a dream, doesn't leave any tacky residue and feels like velvet to the touch. I won't tell you how to apply it either because you all know your upward and outward movements don't you ladies?! Don't forget to take it up and around the back of your ears too. I apply it to the back of my hands then massage it up the neck that way, it pays to multitask as this way helps with those pesky dry hands, another area we sometimes neglect. 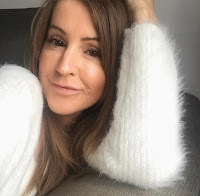 This post is in no way sponsored, I purchased the product myself and I just wanted to shout about the fact that the appearance of my turkey neck has improved, it's smoother, firmer and less crepey looking! It is like a spa in a jar, it's luxurious and feels like you're giving yourself a bit of a pamper each time you use it. I think I'm becoming quite obsessed with it. I need to try it with the 'Elevator', go have a look, I need that device in my life as well. Looks like some sort of torturous implement but I'm willing to try anything at this point! Exalt is suitable for all skin types and I would say you should definitely be using something like this if you're in your thirties. And, listen up kids, avoid that turkey neck at all costs, take your lotions and potions all the way down! Temple Spa are passionate about their products and they are of the highest spa quality. There's a few ways you can get your hands on the range. It's stocked exclusively at one department store only, and that's Harrods, it's used in selected spas around the UK and you can order online. They also hold at home parties for you and your friends to discover and be pampered. 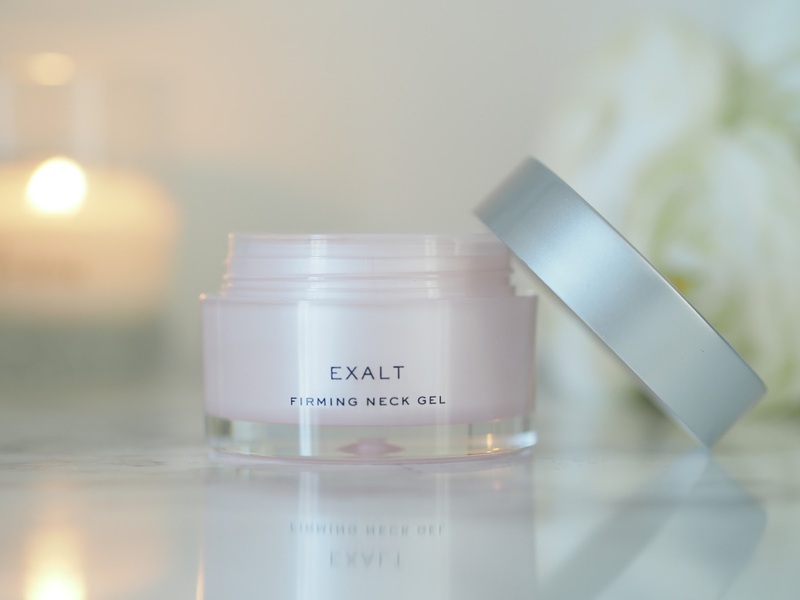 I'm sure if you enquire online they'll put you in touch with your nearest consultant and details on Exalt can be found here. Seriously, if you're a, I was going to say mature lady, but I don't like that word at all, I'll never be mature, always immature, so let's say slightly older lady like my good self, and you're thinking about an anti ageing product for your neck then this is worth a thought. I love it, can you tell? 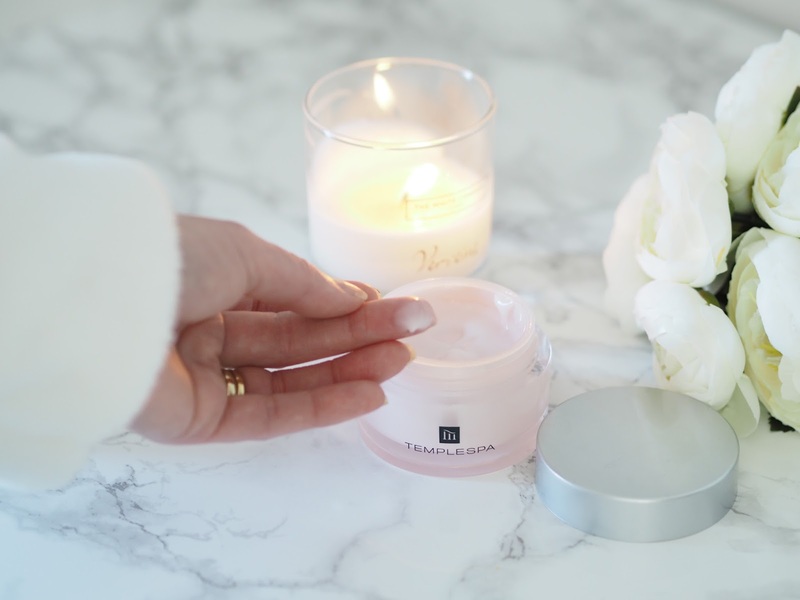 Do you already use anything from Temple Spa? Or any other product specifically for your neck? I always try to treat my neck as I do my face, but this stuff sounds amazing! Love the photos in this post Steph! Beautiful. I have used. Couple of Templespa products in the past, not recently tho. This sounds good, I'm currently using a neck cream but will makes note of this. Lovely photos! Ooo sounds good! I always forget about my neck so will now make sure I'll pay it more attention!